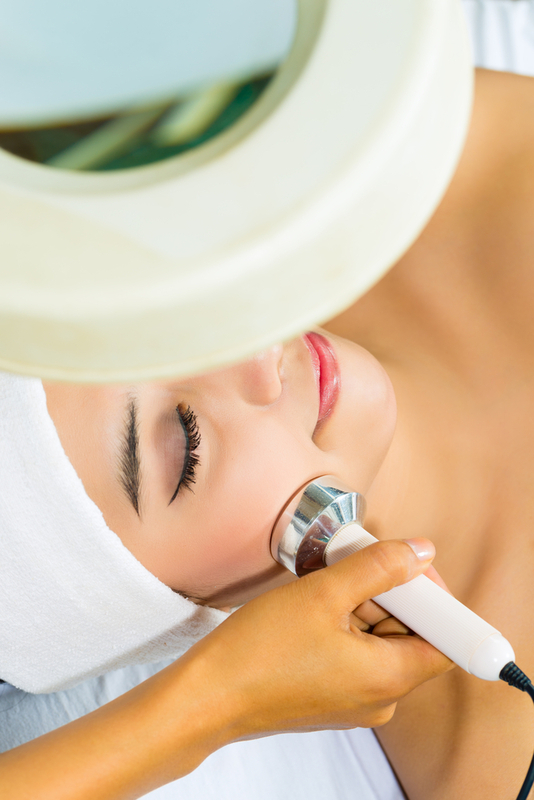 For us Therapists, the fantastic benefits of MicroDermabrasion are a given. But maybe it needs fully explaining to you the client to enable you to understand the need to have it in your lives and to become part of your monthly skin routine. Microdermabrasion in Ibiza is the same as it is in the UK and across the rest of Europe. There are two methods, the traditional crystal method and the newer Diamond method. Both methods are like having a mini hoover gliding over your face to slough away any impurities and dead skin cells. Regular Microdermabrasion treatments can help to lighten and lift hyperpigmentation, scrub away at fine lines and wrinkles and even help to make acne scarring and pitting look more acceptable. Crystal dermabrasion blasts white aluminium oxide crystals onto the skin, removing the top layer and accelerating cell turnover. Whats cell turnover? This is the time it takes for our cells to be produced in the basal layer and reach the horny surface layer. In our twenties (remember those?) this takes around 28 days, meaning that the fresh new cells are pushed to the surface quite quickly. But as we age, add on around ten days for each decade for the new cells to reach the surface, therefore we are hanging onto our old, dead cells a lot longer meaning skin is duller, more lifeless and lack lustre. These cells can adhere themselves together and to the surface of the skin quite firmly, creating other skin issues such as congestion (spots) flakiness and inflammation. Diamond dermabrasion works in much the same way, but there are no crystals blasted onto the skin. A diamond head is drawn across the face and hoovers up the dulling skin cells in the same way. The only difference is the treatment is a little cleaner for the therapist to carry out as there are no crystals to remove afterwards. MicroDermabrasion in Ibiza is a fantastic treatment to help prepare the skin for weddings, special occasions, or better still, a regular maintenance treatment to promote cell turnover and keep the skin glowing. A word of caution, as with all facial treatments in hot climates is to ensure a high quality, daylight defence is applied daily to protect from hyperpigmentation. Regular Microdermabrasion in Ibiza can prevent the need to take more drastic action against your skin…such as IPL, Laser and Chemical Peels which are far too harsh for the level of UV exposure we experience here. So what am I doing with myself this evening? giving myself some Microdermabrasion in Ibiza of course!